2 In a medium bowl, stir together all ingredients except pita chips and Melba toast until thoroughly combined. Transfer mixture to a small casserole or glass pie plate. 3 Bake uncovered, 25 minutes or until lightly browned. 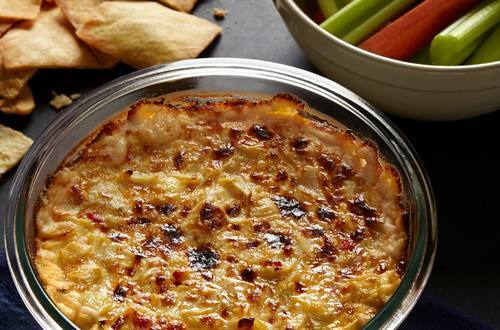 To serve, place the dish on a larger platter and surround with pita chips or Melba toast.